Individal swimmers and representative teams can apply for grants from the following sources. The West Coast Swimming Club just asks that you communicate with one of our executive committee members if you have decided to pursue one of these opportunities as it may involve aligning your application with the strategic aims of the club. In the past we have successfully generated funds to offset the costs of travel, entry fees and uniforms which can be very expensive particularly when swimming at state or national level and when selected into development squads. The grants listed are in order of your swimming potential. For example if you are competing at Country Championship Level, State Championship Level or National Level. All of the grants are open to multiclass swimmers. Grants of up to $100 are available for young people to help with travel expenses incurred when accessing development programs in education, sport, personal interests, arts, work experience etc. Applicants must live in the Flinders electorate, and be aged between 10 and 18. 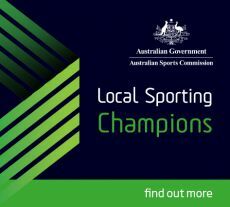 Country Athlete Award funding from the SA Sports Institute is available for athletes aged 13-18 years who are performing at a high (state/national) level in Olympic, Paralympic and Commonwealth Games Sports and live permanently in a regional area, 130kms or more from the Adelaide GPO. What are the benefits of the CAAS?